We are over the moon with today’s Destify Couple Priyanka and Ushan, a beautiful couple whom the stars aligned for in order to fall in love. 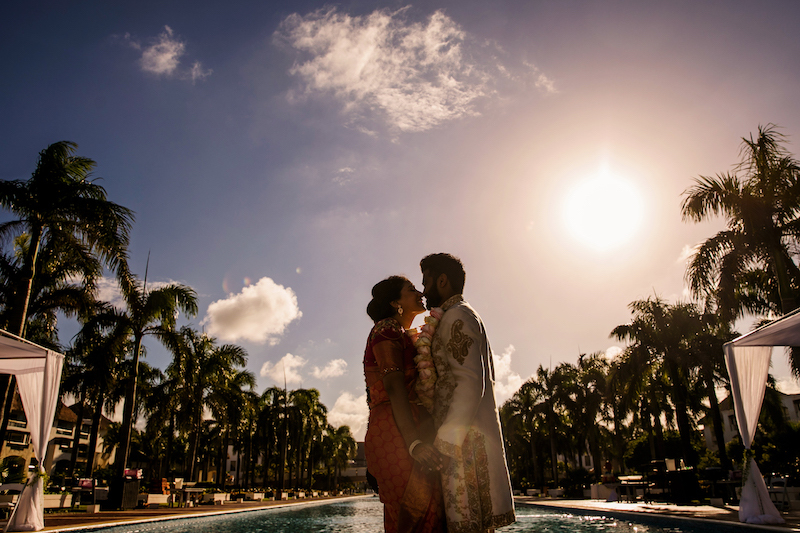 They held a gorgeous multiple-event wedding at the always stunning Hard Rock Resort in Punta Cana. They were able to bring family and friends from far and wide to celebrate their new lives together in the Dominican Republic. Catch the video of highlights below and follow this link to read their full interview. There are so many amazing photos attached too! Considering your own destination wedding? Have you had the chance to read our Destify Couple interviews? Click the button to see all of our lovely couples. Each has had wonderful destination weddings, and you can find real photos and experiences that serve as perfect advice for planning your own celebration.